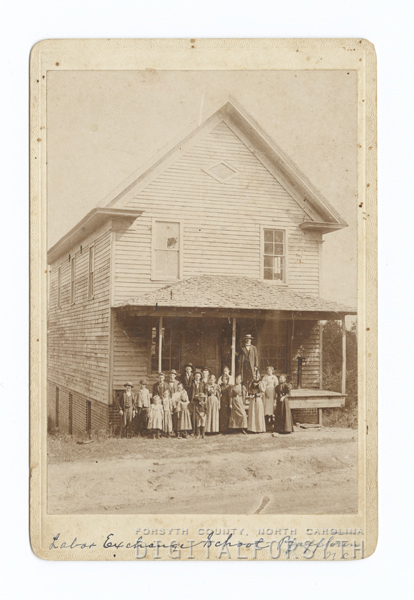 Digital Forsyth | Labor Exchange School in Pfafftown, N. C.
Home › Photos › Labor Exchange School in Pfafftown, N. C.
Labor Exchange School in Pfafftown, N. C. with students and adults standing in front of the school. Do you have the date for this photo? Unfortunately, there is not a date attached to this photograph.